Social media is an incredibly powerful tool which has transformed the way a business interacts with its customers. It is fairly easy to set up a social media account and start posting content. But do you really know where the opportunities for your business lie? Are you aware how your audience may behave to different kinds of content? And do you have the content that would create a buzz around your brand? 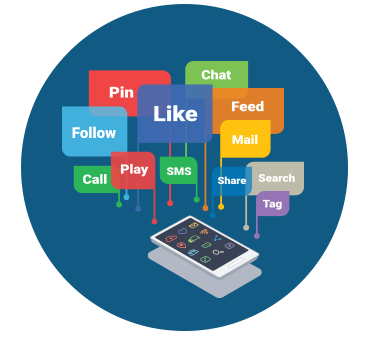 Creating a social media account may be simple; creating a result-oriented strategy for effective social media marketing is not. The more followers you have on social media, the more word of mouth referrals and leads your business can expect. Zone One Digital’s social media marketing services are designed to not just get you more fans and followers, we make sure that you only get the people who are actually relevant to your business by scanning them for their interest areas, demographics and consumer behaviors. When you constantly engage with your audience, you build an emotional connection with them. This connection makes your fans more likely to buy from you, instead of your competitor. 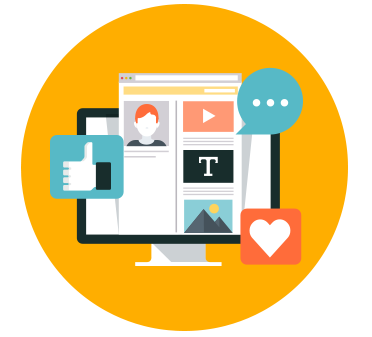 Zone One Digital’s social media marketing services are crafted to get you more engagement in terms of likes, comments, retweets, etc. This engagement ultimately translates into long-lasting relationships with customers. What good is social media marketing if it is not getting you more leads and increasing your sales? Our specially-curated advertising campaigns for social media platforms promise to deliver high volumes of traffic to your website. That’s not all. We also craft superior retargeting ads that keep you fresh in the minds of your recent visitors and increase the chances of conversion. Once both the parties are in agreement with the strategy, we will start its execution. This step involves creating original ads and content exclusive to your brand. This content will be handed off to you in a monthly content calendar to give you an opportunity to review it before it is shared with your audience. In order to develop a social media marketing strategy, we undertake exhaustive research about your business, study your competitor’s profile, and develop personas for your buyers. 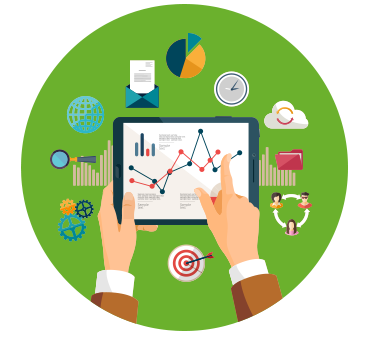 After that, we will cultivate the strategies and funnels for your advertising campaign which will your roadmap to success. A dedicated social media manager is assigned to your account. This executive will learn everything there is to learn about your business and become Zone One Digital’s primary contact for you, with whom you can communicate on a daily basis at a time that works for the both of you. A monthly report will be prepared by your account manager to give you a detailed view on the difference we are making. You will also have anytime, anywhere access to online reporting software to see the campaign’s progress. We can also schedule meetings for the same. All social media activity in the form of comments, reviews, messages, etc., is reviewed on a daily basis and a response sent to the poster within 24 hours. To grow your social media channels organically, we keep a tab on trending topics and use appropriate hashtags and conduct periodic contests. We do not spring any surprises on our clients by uploading any content which is not approved by them. All strategy initiatives and deliverable have your seal of approval. We operate with high integrity and trust quotient to ensure that our clients stick with us because of the quality of our work. We don’t bind you in high-maintenance contracts. Instead of making you spend on expensive retainers, we focus on spending your money on activities that generate true value, such as paid advertising. Are you ready to grow your business with expert social media marketing? Our value-oriented philosophy drives us to create intelligent, integrated solutions that have game-changing technology at the core. 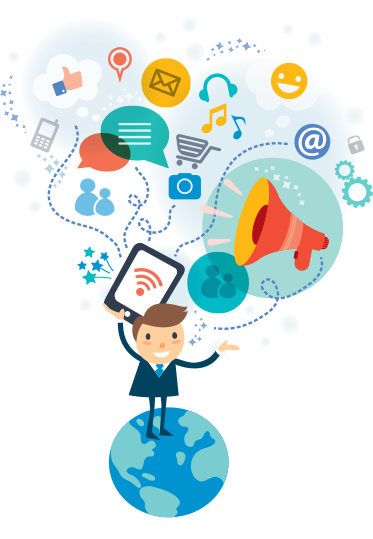 Think of us as a partner wired to act beyond the duties of a typical digital marketing company to help business owners achieve their goals.